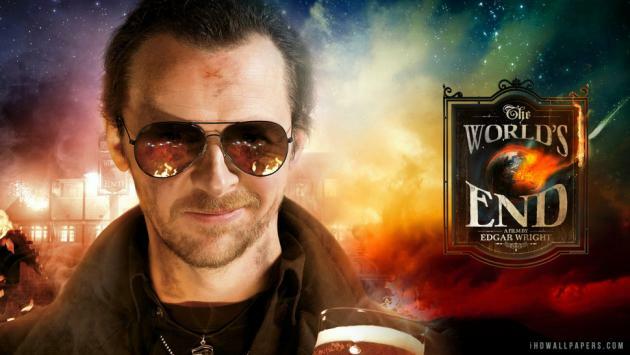 Simon Pegg Talks About The Ending of "The World's End"
We don't like to prescribe meaning in our films. We always like people to come away and have to think about what we might be offering. You know, the whole idea about what was being offered to the planet Earth... it might have actually been a good thing. And it might have been better to go along with it. Maybe we should be told what to do. Maybe it's better if we are controlled, because we are erratic and irrational creatures, that don't always make the right decisions. You know, for Gary, it's all about control. He doesn't want to be controlled. And the choice he makes at the end of the film has huge ramifications. And it might not have been the right choice. But the irony is, in the final analysis, Gary does find happiness. And it's not through alcohol, it's through being on an adventure with his young friends. You know what I mean? Essentially, also, living, literally in, or rather in an approximation of, the past, because they're in a world which is bereft of what they know. Like the toilet.